PHOTO PROVIDED Parrott Hall in Geneva is one of the Landmark Society of Western New York's 2018 Five to Revive. 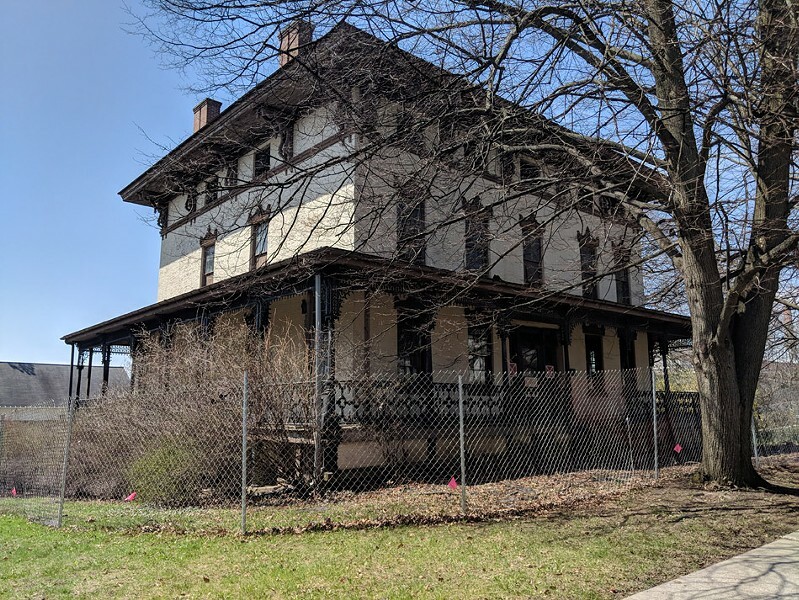 The Landmark Society of Western New York has usually used its annual "Five to Revive" list to draw public attention and financial support to restoring historic buildings throughout the Rochester region. With the list, the Landmark Society is telling communities and developers that there's unmined gold in repurposing – rather than ignoring or demolishing — these architecturally significant properties. The program has been successful at saving and repurposing some buildings on its lists. This year, however, the Landmark Society is taking a slightly different approach to its Five to Revive by including two sites that the Rochester community already recognizes as treasures, but that are surrounded by controversy: the aqueduct over the Genesee River and the Colgate Rochester Crozer Divinity School campus. And for those projects, the Landmark Society isn't just calling for their protection. It's also weighing in on how the sites ought to be redeveloped. For instance, the city is planning to remove the section of Broad Street over the river that covers the Erie Canal aqueduct to create a pedestrian area. Landmark Society officials say the aqueduct is one of the city's most important historical assets and preservationists should have a voice concerning any plans to change it. "We're not saying don't touch the deck," says Tom Castelein, an architect who is president of the Landmark Society board. "But the journey from where they are now to what they're proposing is long and complicated. There's myriad questions and design issues that need to be addressed." The aqueduct is a complex structure and transforming it will require removing some elements and adding others, and how that is approached is critically important, Castelein says. What's done with the aqueduct could be a catalyst for more downtown development, or it could lead to the aqueduct becoming a future problem like the Inner Loop, he says. Landmark Society officials are equally concerned about the future of the divinity school property. The 24-acre site near Highland Park is a city landmark and it's eligible for listing in the National Register of Historic Places. The property is being sold to local developer Angelo Ingrassia, and no redevelopment plans have been made public. But at a Highland Park neighborhood meeting earlier this year, Ingrassia said the property's picturesque hillside would someday need to be developed. That's something the Landmark Society would strongly oppose, says Wayne Goodman, the organization's executive director. The full Five to Revive list includes Parrott Hall in Geneva, Odd Fellows Hall in Holley, and the former National Yeast Company and Iroquois Motor Car Factory in Seneca Falls. Parrott Hall was built in the 1850's as the home of Nehemiah and Louisa Denton. The Italianate-style mansion and farm became the first property in Geneva to be listed on the National Register of Historic Places. It was also the first home of the New York State Agricultural Experiment Station, used for research at Cornell University. The building is in need of significant repairs, say Landmark Society officials. "It's a building that needs a champion," says Castelein. A coalition of organizations is working to raise the funds to repair and repurpose the building, he says. Odd Fellows Hall, built in the late 1800's, is in the Holley Village Historic District anchoring the end of a block of storefronts. If it were demolished, it would leave the street looking like it was missing a tooth, Castelein says. The former National Yeast Company and Iroquois Motor Car Factory is located in Seneca Falls on the Erie Canal. A recent proposal called for demolishing the 30,000-square-foot building and replacing it with a gas station. But the building is solid and a prime candidate for reuse as housing or offices, says Castelein. Landmark Society officials revealed the list at Warner Castle this week, the organization's future headquarters. The residence was built in 1854 and resembles a Scottish castle.